It's the most wonderful time of the year! Christmas Time! As a crafter at heart, I just can't help but create projects out of all the festive scraps lying around the house during the holidays. After setting up our Christmas tree this year, we had a bunch of fir trimming left over from the bottom section of the tree. My first thought was, "Perfect! I can make a wreath!" 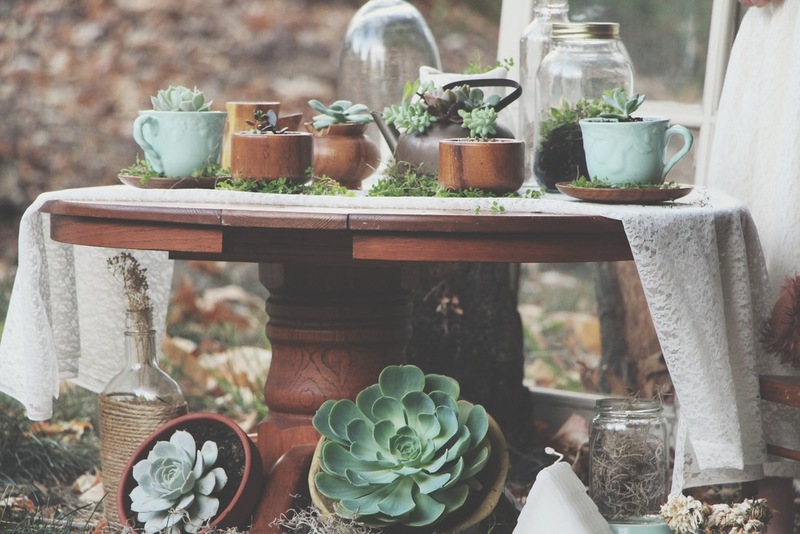 Naturally, I wanted to incorporate succulents for a little something extra! 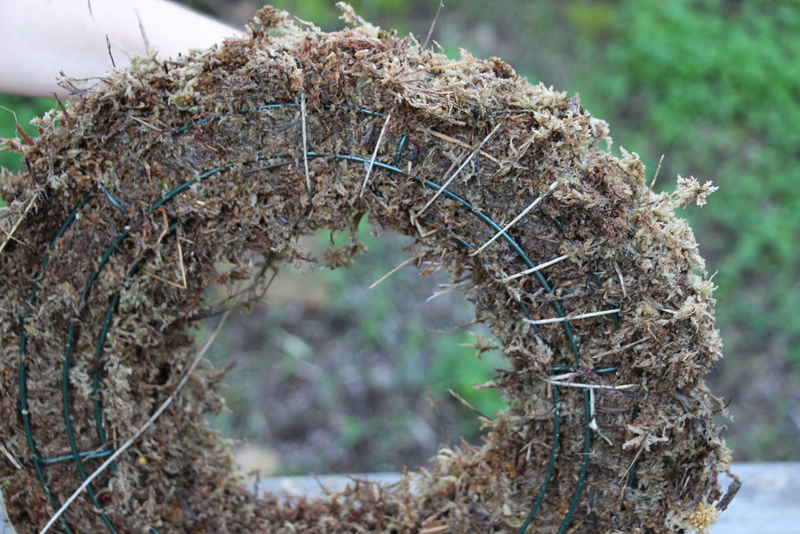 Here is a quick tutorial for you, so you can make a wreath out of your tree trimmings too! 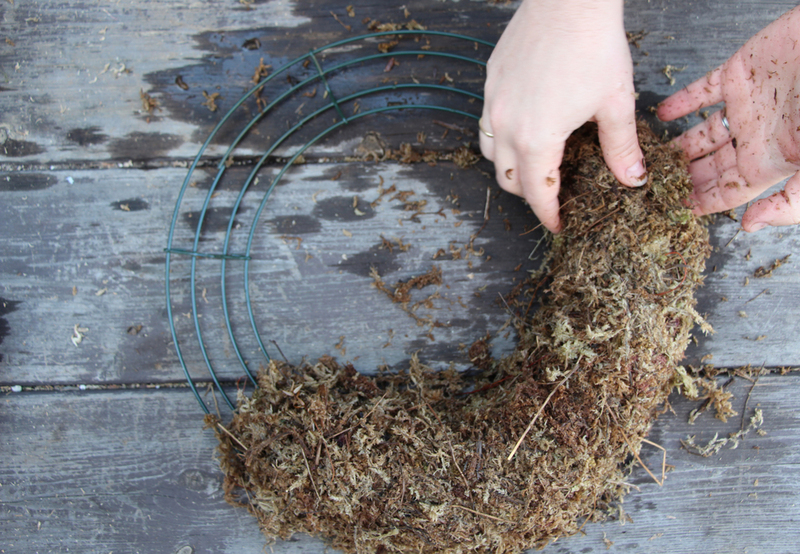 We decided to make a sphagnum moss wreath frame to create a living wreath, as opposed to just wiring our fir timings and succulents to a metal frame. 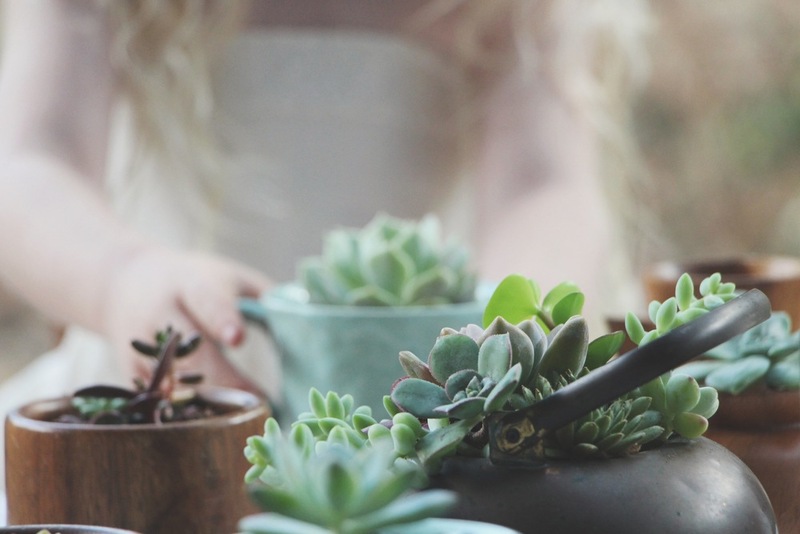 Succulents can root and even thrive in sphagnum moss alone, and we figured if a cut Christmas tree can last for a month or two in a bowl of water, trimming should last just as long (possibly longer) in moist moss. First, soak your sphagnum moss in a large bowl of water. 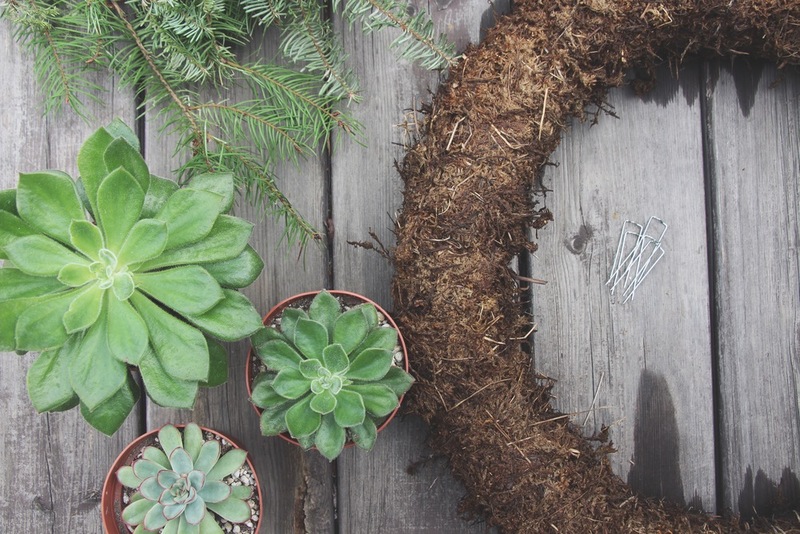 Begin adding your moss to your wreath frame, squeezing out any excess water as you go. 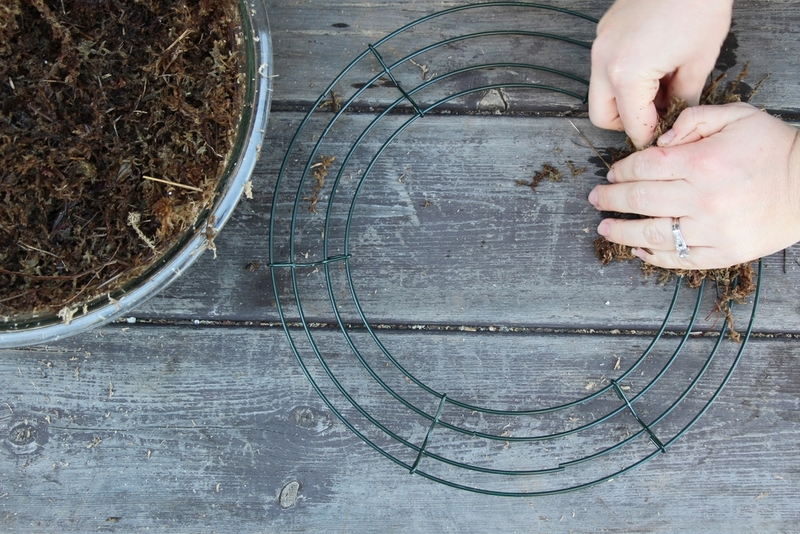 As you work your way around the wreath frame, press the moss together as if you are creating a loaf. Once the entire wreath frame is covered with moss, tie the end of the jute twine to the back of the frame and wrap the moss with the twine. 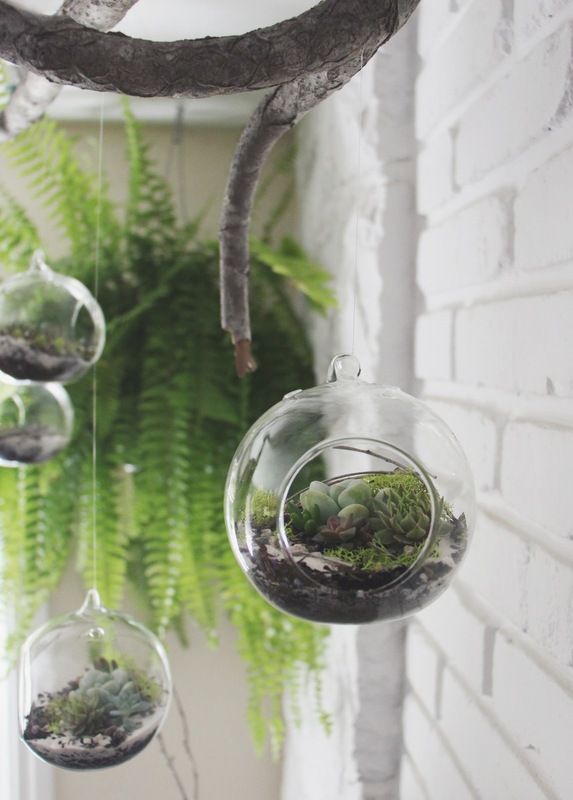 This will keep the moss attached to your frame. 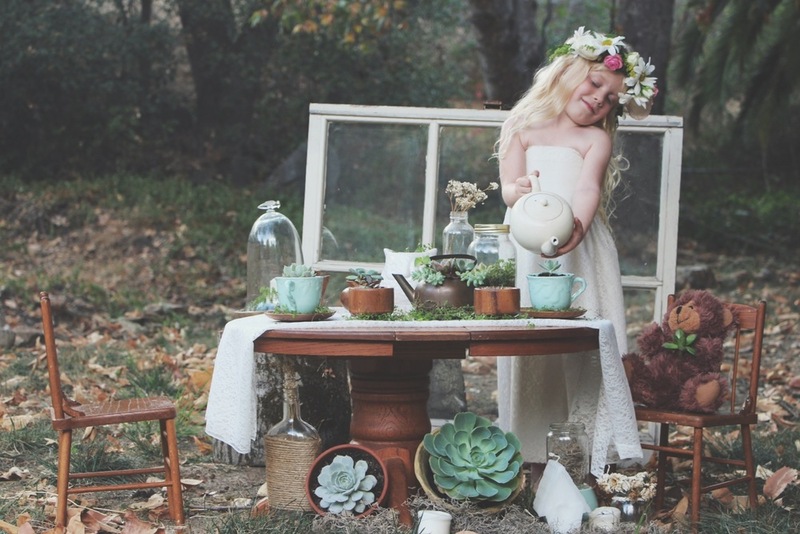 Once you have gone around the entire frame once of twice, tie off and cut your jute twine. Now we can start adding the tree trimmings. Cut small manageable pieces (about 6 to 12 inches long) from the larger branches. 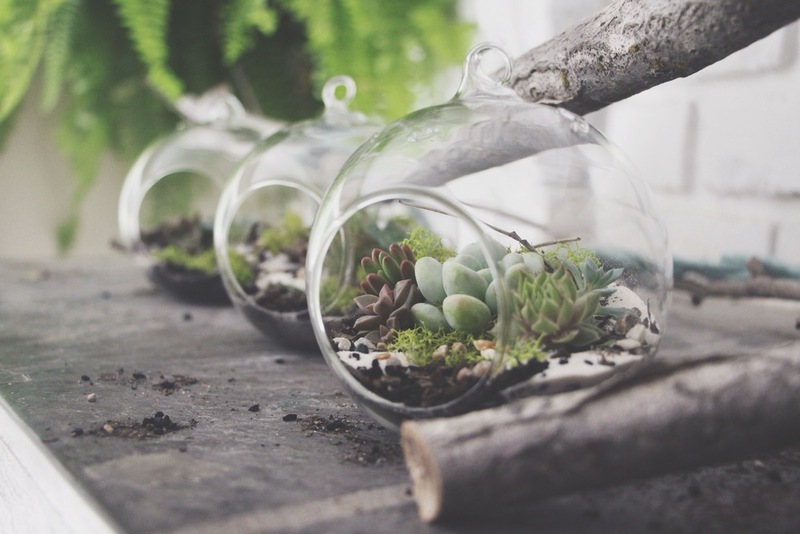 Begin adding them around the wreath, sticking the freshly cut ends of the branches into the moss. Use floral pins throughout to help keep the branches in place. Hold the wreath upright from time to time so you can see how the branches will fall when hanging. This will help you know where more floral pins are needed. Keep adding branches around the wreath until you reach the point where you started. Make sure to keep layering the branches to give the wreath volume. Continue to add floral pins when necessary. Once you have all the tree trimming secure on the wreath you can now start adding the succulents. You can add them where ever you'd like, along the top, spread throughout, or on the side. We chose to add them along the side. Use a pencil or your finger to make a hole for the stem, place the stem into the hole and use floral pins to secure it into place. We tried to keep the roots intact when possible, but if your stem is just too long, you will need to cut the roots off. 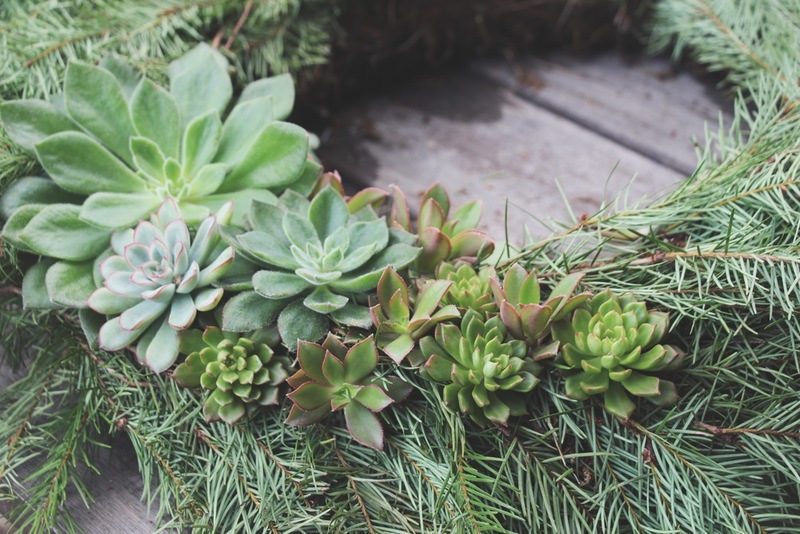 If you are using succulent cuttings for your wreath, you will need to use more floral pins to keep them in place until they have time to develop new roots. It usually take a few weeks to a month or so for cuttings to take root. 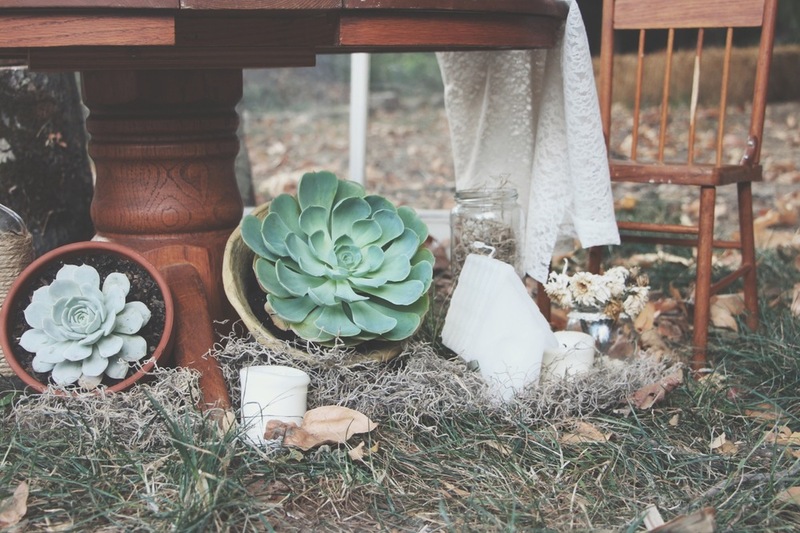 Keep adding succulents until you have created a design you like. Now you a beautiful Christmas wreath! You can give it as a great home made gift or keep it for yourself to enjoy all season long! Remove your wreath from your door or wall and water it with a hose or watering can once a week or at least every two weeks. Leave it horizontal until it has had time to drain a bit and then rehang. 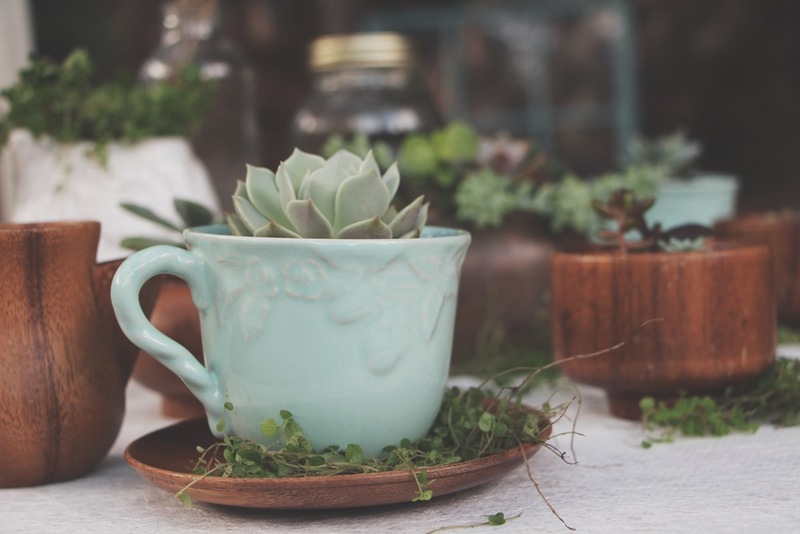 Make sure your plants are getting plenty of bright indirect sunlight.